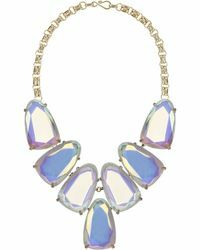 The easiest way to take any look from simple to standout is by adding a statement accessory, and the Kendra Scott Harlow necklace is proof. 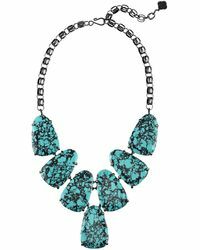 Characterized by its gold-plated chain and glossy, oversized stones, this piece of jewelry is sure to make an impact for any occasion. 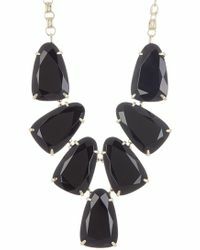 Use yours to dress up a little black dress, or wear it with a V-neck sweater and jeans during the day. 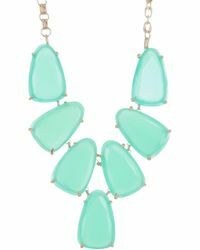 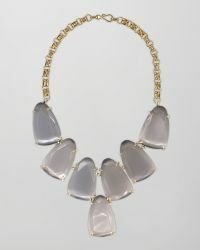 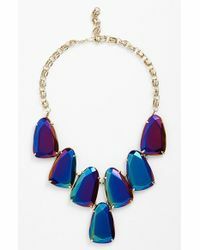 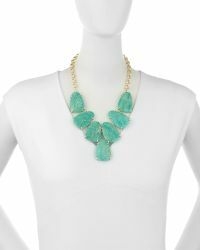 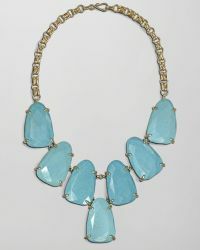 Coming in a variety of eye-catching colors, the Kendra Scott Harlow is worth a double take.